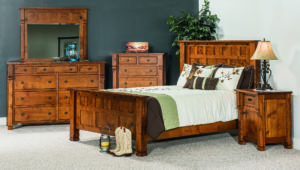 Our Amish bedroom sets come in a vast array of styles and designs. 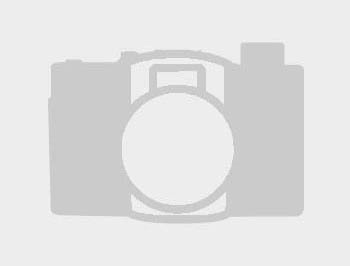 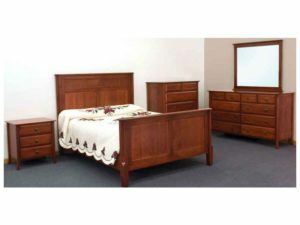 Such as queen bedroom sets to collections with king and full beds. 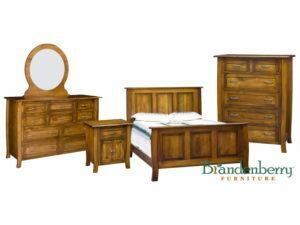 Plus, we have numerous pieces of bedroom furniture and accessories to choose from. 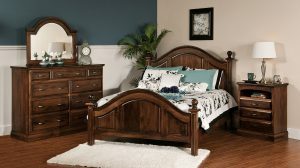 Curved profiles accent the Batavia Bedroom Set. 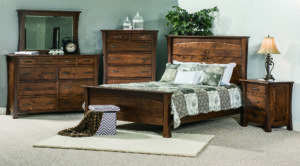 The Batavia Large Bedroom Set offers the finest hardwood furniture blending elegance and sturdy construction. 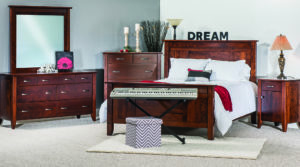 Classic mission style highlights the Brooklyn Mission Bedroom Set. 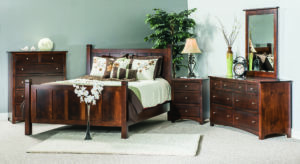 The Classic Mission Bedroom Set boasts a timeless, graceful style. 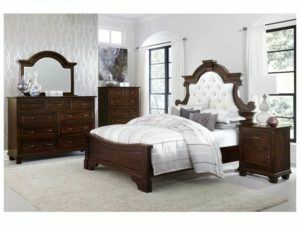 Sleek construction blends with an elegant style in the Escalade Bedroom Set. 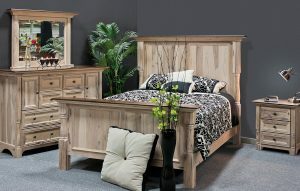 Rich wood panels accent the Escalade Bedroom Suite. 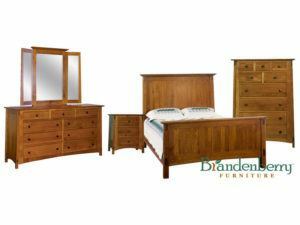 Beautiful wood construction highlights the French Country Bedroom Set. 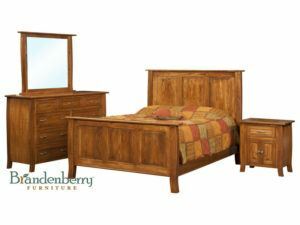 The Heritage Economy Bedroom Suite features one inch solid tops with a beveled edge, partially insert drawer fronts and full extension drawers. 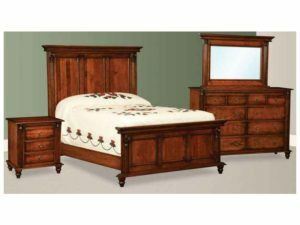 The bedroom set can be customized to meet your personal style and home decor needs. 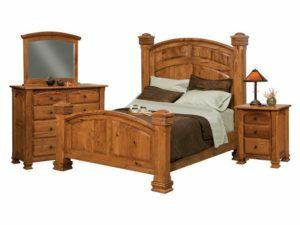 The Kingston Prairie Bedroom Suite features plain mission style with crown trim, corbels and post construction. 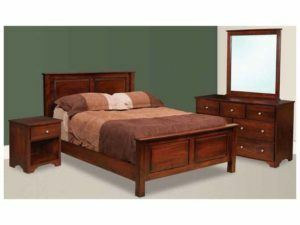 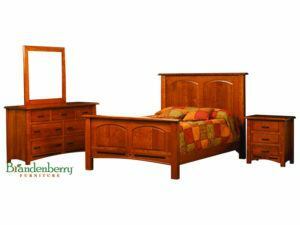 This incredible Lavega 4-Piece Bedroom Set is a perfect accent to any home. 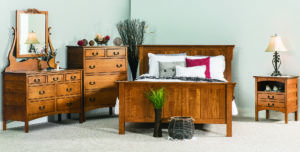 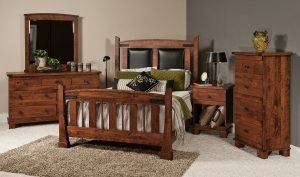 The charming Lavega Bedroom Set features wood inlays and a timeless style. 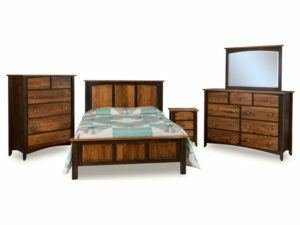 Classic mission construction highlights the McCoy Bedroom Set. 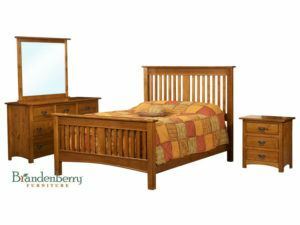 Mission Economy Bedroom Suite shown in solid oak wood and available to be customized and built uniquely for your bedroom. 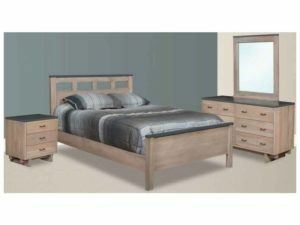 Subtle accents highlight the Mondovi Bedroom Set. 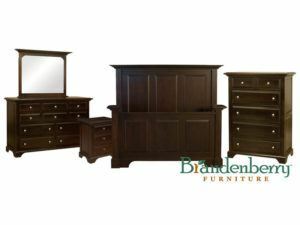 Wide bold trim and hidden velvet lined drawers plus a sleek design are highights of the Palm Valley Bedroom Suite. 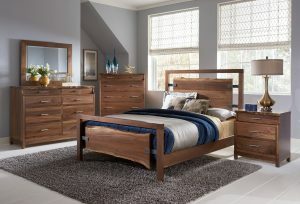 Arched drawer fronts and panels grace the Rising Sun Bedroom Set built using Brown Maple and Grey Elm wood. 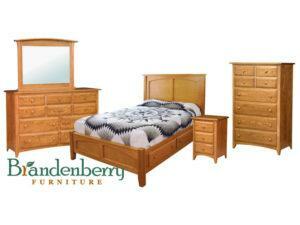 Sturdy construction highlights the Shaker Collection Bedroom Set. 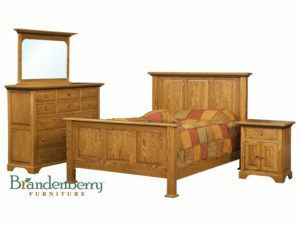 The Shaker Bedroom Set features solid construction and a classic shaker style. 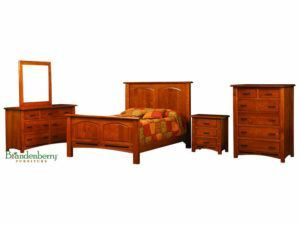 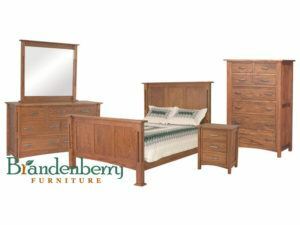 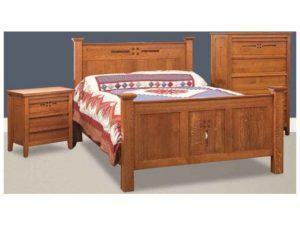 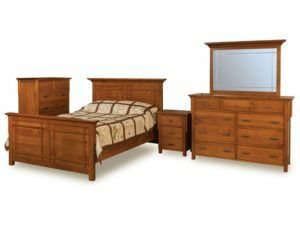 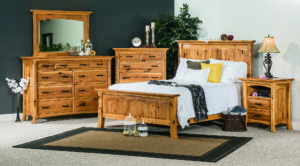 Brandenberry Amish Furniture bedroom sets are available in traditional styles. 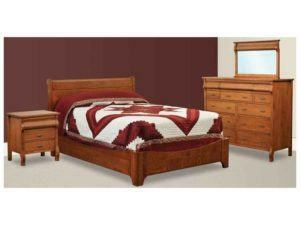 Like Shaker, Mission, French Country and Queen Anne. 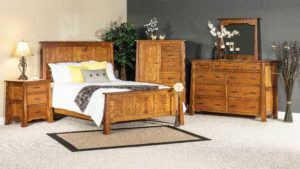 Plus, you can order one-of-a-kind styles. 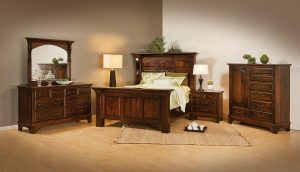 So you’re sure to find a bedroom set that fits your needs and desires. 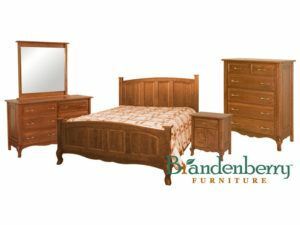 Also, each collection includes an assortment of furniture. 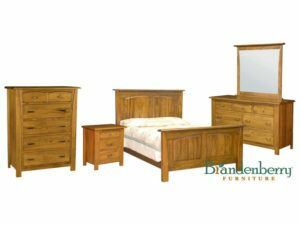 Such as beds, dressers, nightstands and chest of drawers. 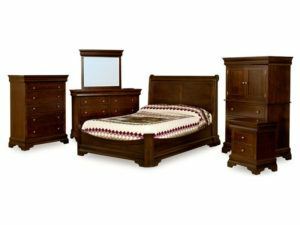 And some collections carry armories and a variety of chests. 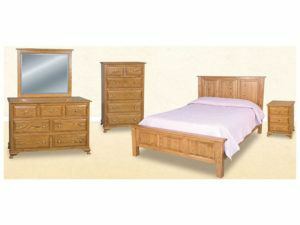 Plus accessories like cheval mirrors and hidden jewelry compartments. 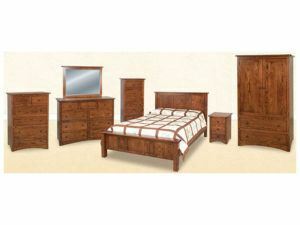 You can even get kids bedroom sets. 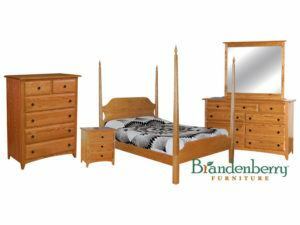 And we can customize every piece. 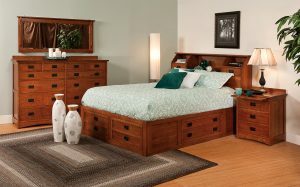 So you can create the bedroom set just the way you like it. 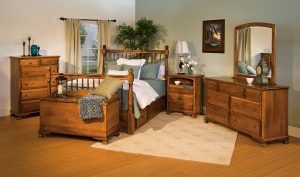 Consider a visit to our store at Junction 5 and 20 in Shipshewana Indiana to touch and see our Amish built furniture on display. 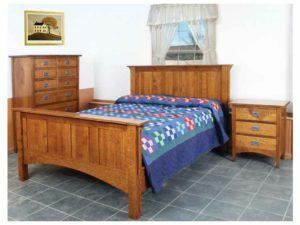 Plus, you can even enjoy some tasty Amish country food!